Richardson et al. explore the molecular topology of the chloroplast transit peptide and its nucleotide-dependent movement within the chloroplast protein import channel. Plant Cell https://doi.org/10.1105/tpc.18.00172. 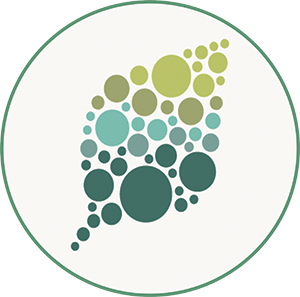 Background: Chloroplasts, the site of photosynthesis and specialized metabolism, are a defining feature of plant cells. Chloroplast function is dependent on the import of thousands of proteins from the cytosol across the two membranes of the chloroplast envelope via the TOC (translocon at the outer chloroplast envelope) and TIC. 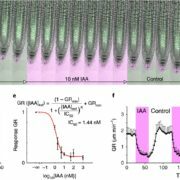 Chloroplast proteins possess a transit peptide that directs their import through TOC and TIC. 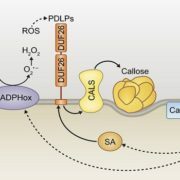 Transit peptides contain a complex code that directs the proteins to the chloroplast surface and mediates the interaction with more than a dozen TOC-TIC proteins during import. 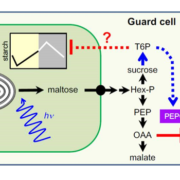 We are interested in understanding how the transit peptide is decoded by the TOC-TIC components to ensure that chloroplast proteins are properly localized to maintain chloroplast function during plant growth and development. 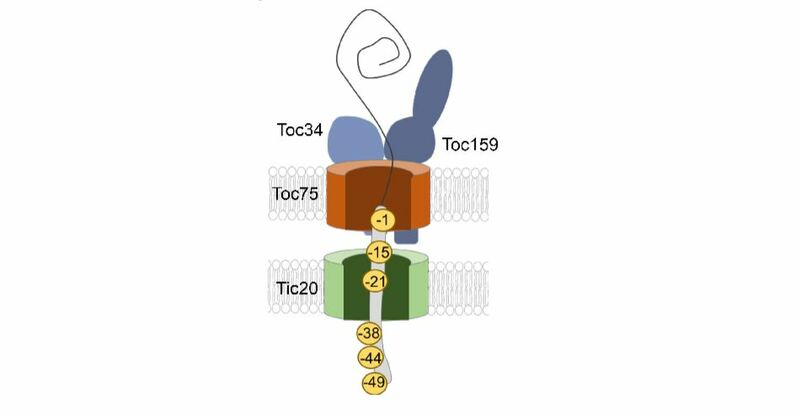 Question: We wanted to determine the position of the transit peptide at the molecular level within the TOC and TIC channels at energetically-defined stages of import. 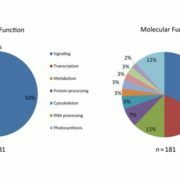 With this information, we wanted to identify the major components that decode the transit peptide and understand how protein import is controlled by GTP and ATP hydrolysis. Findings: We used a molecular crosslinking approach between a model chloroplast protein and isolated pea chloroplasts to determine the interactions of the transit peptide at several stages in chloroplast protein import. Contrary to current models, we showed that the transit peptide inserts across TOC and is in contact with TIC components at the earliest stages of binding, without the assistance of ATP or GTP hydrolysis. 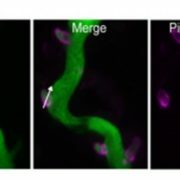 Low levels of ATP promote further movement into the TIC channel, likely exposing the N-terminus to the chloroplast stroma where the protein can engage molecular chaperones. GTP hydrolysis by TOC components acts as a checkpoint at this stage to determine whether or not the protein will continue along the import path, thereby ensuring the fidelity of protein import. 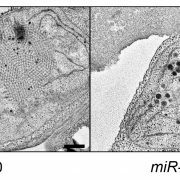 Next steps: With the discovery of the major checkpoints during protein import, we can study how the protein import system is regulated during the biogenesis of chloroplasts. 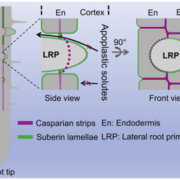 This will be critical in understanding how different plastids transition to provide specialized functions in various plant tissues and in response to developmental and environmental changes. Lynn G.L. Richardson, Eliana L. Small, Hitoshi Inoue, Danny J. Schnell (2018). 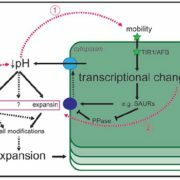 Molecular Topology of the Transit Peptide during Chloroplast Protein Import. Plant Cell 30: 1947-1960. https://doi.org/10.1105/tpc.18.00172.